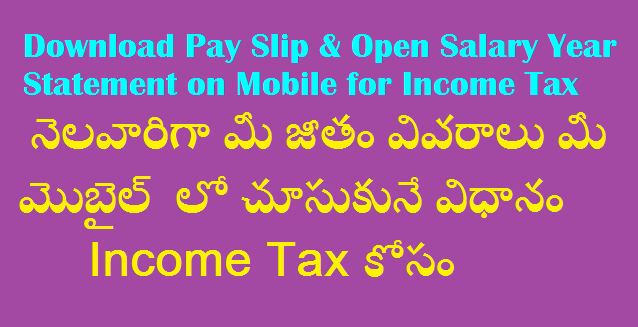 Download Month wise Salary Particulars for the Financial Year Employees and Teachers in AP and Telangana have to estimate their Income Tax Every Year. They should know their Salary Year Month wise Details of Earnings and Deductions to prepare Incoma Tax Assessment. Most of the Employees and Teachers dont know How to Download Salary Financial Year Statement to Know Credits and Debits Month wise Details.